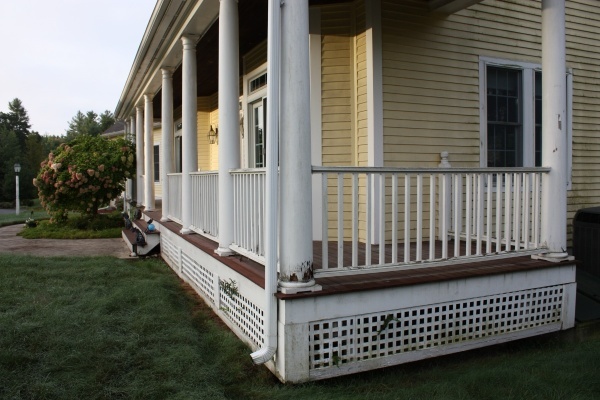 A farmers porch is a great feature on a house but if substandard materials were used in the construction of the porch it will eventually need to be rebuilt. 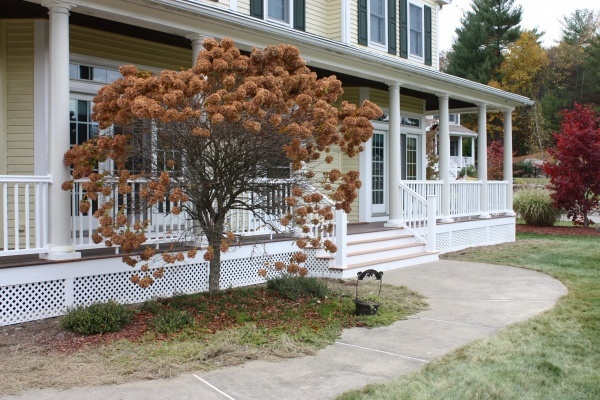 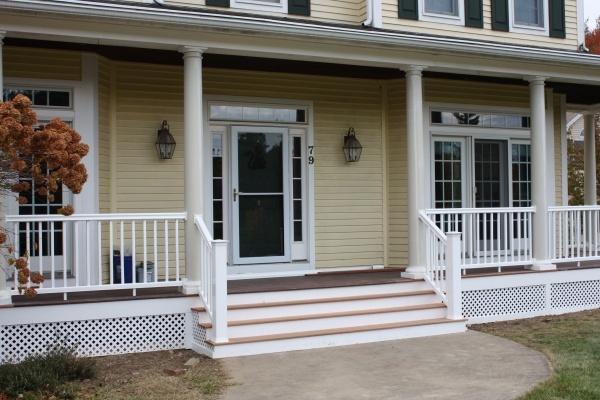 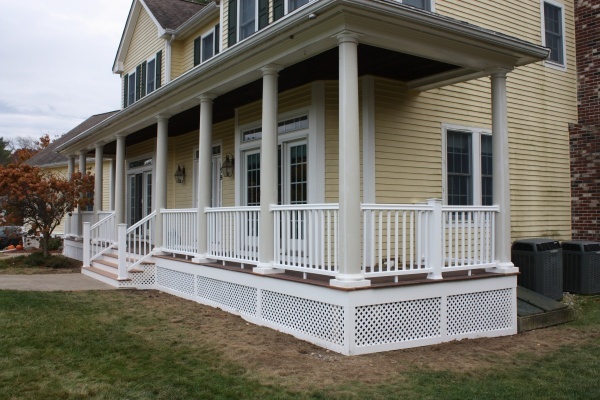 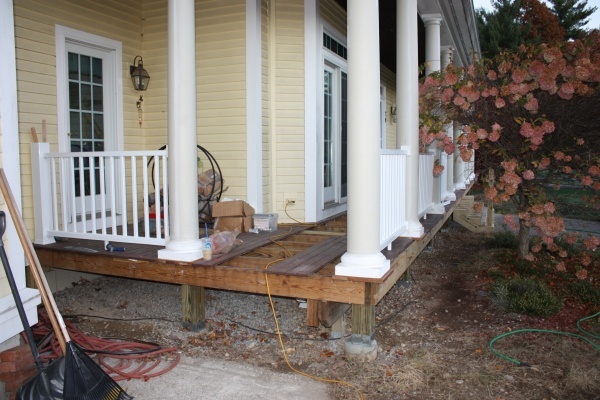 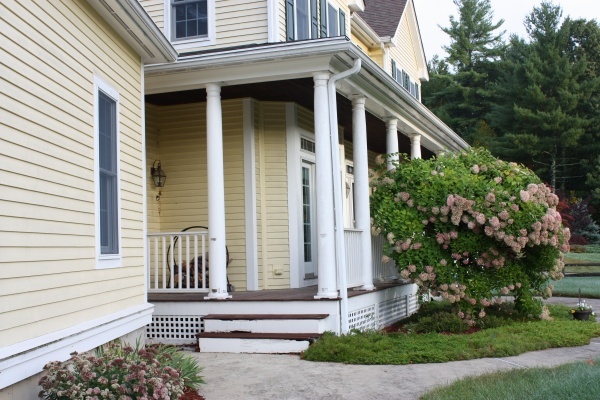 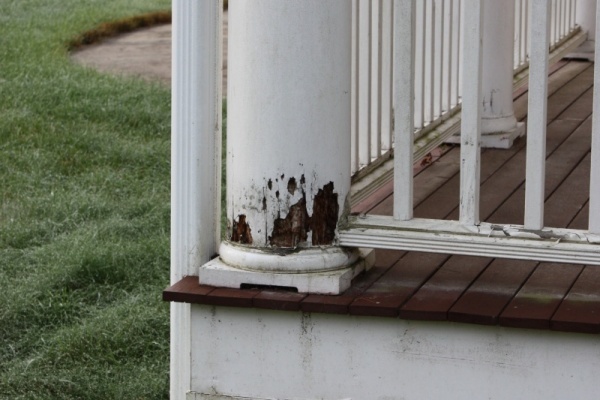 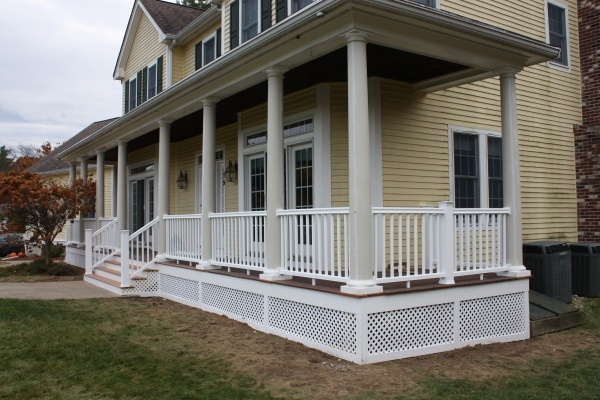 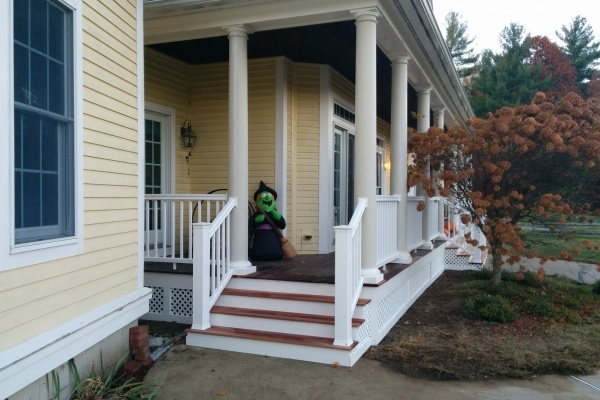 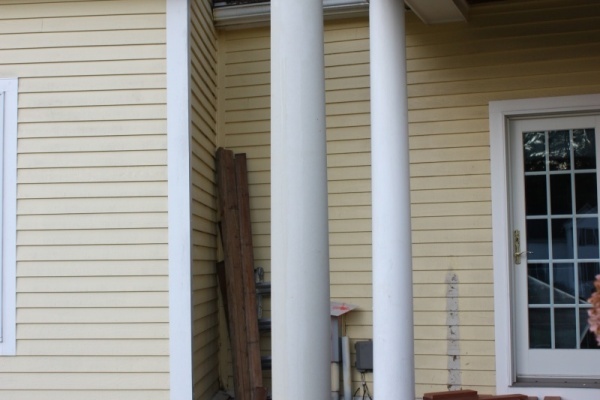 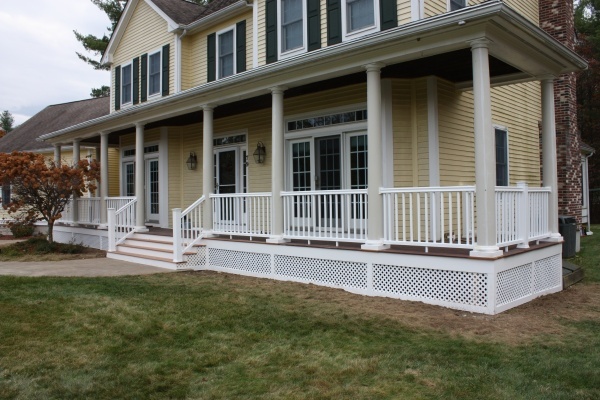 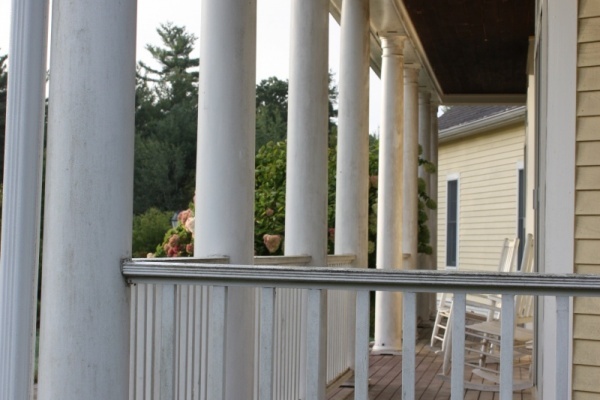 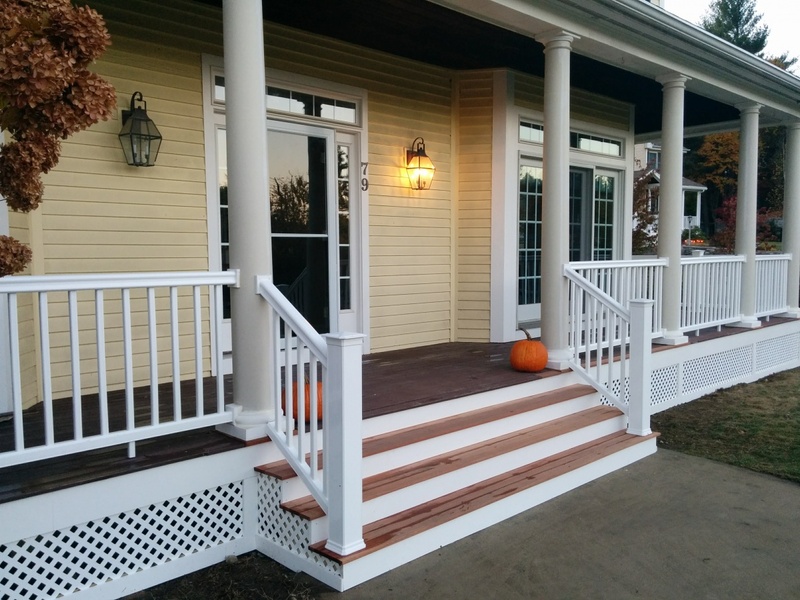 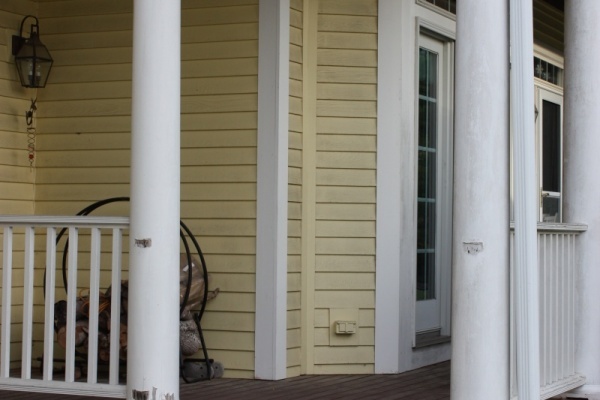 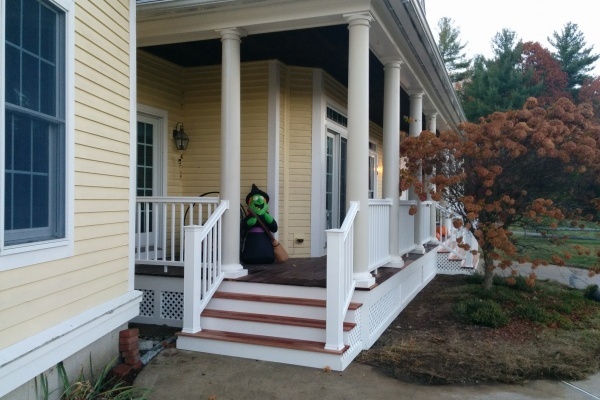 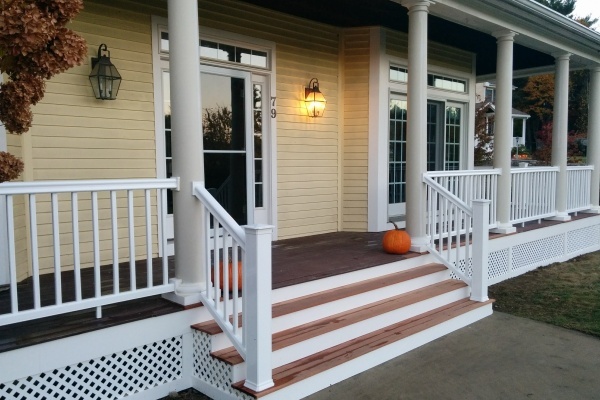 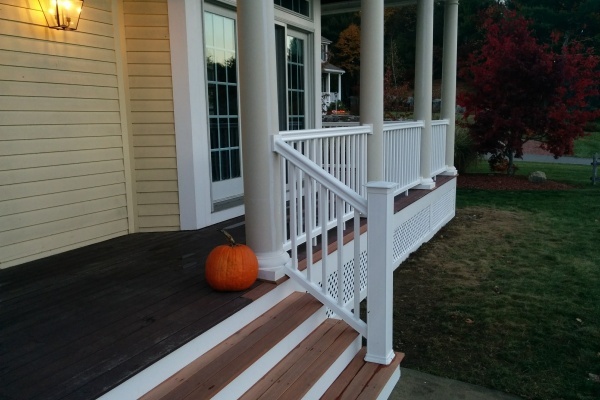 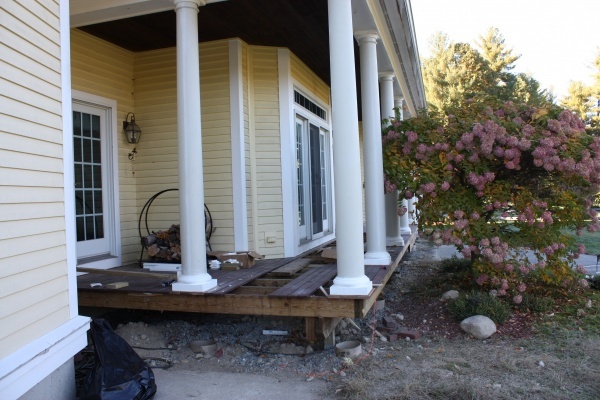 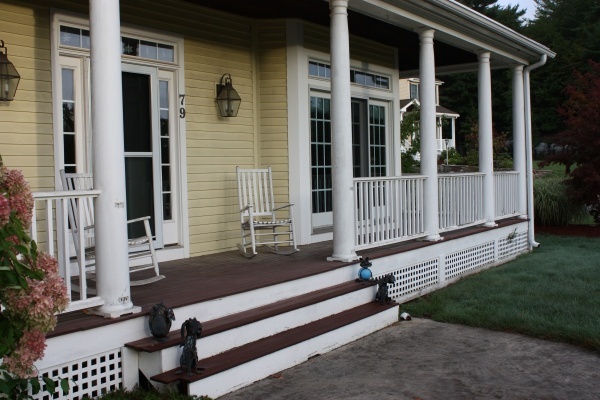 As you can see in the following pictures, this beautiful farmers porch had rotting railings, the balusters were already removed by the homeowner because they were in such bad shape and each of the 10 columns had various degrees of rot. 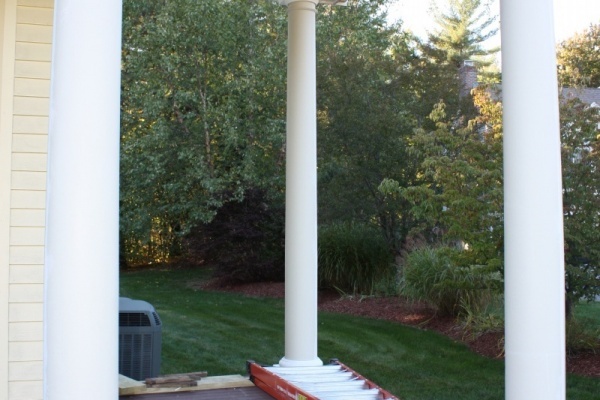 Sometimes when you start to get into a project surprises come up. 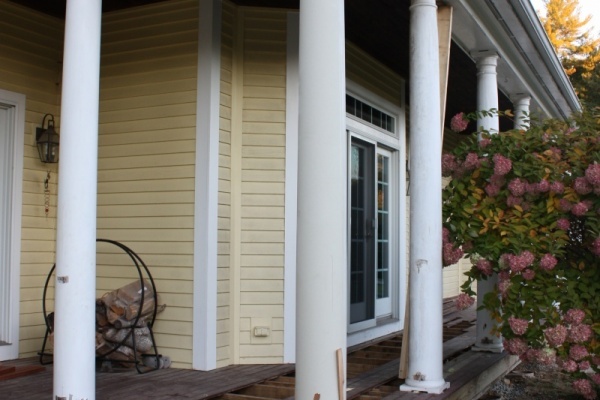 In this case, we found the original builder of the house improperly set the footings for the porch too far back behind the base of the columns so they were not correctly supporting the load of the porch. 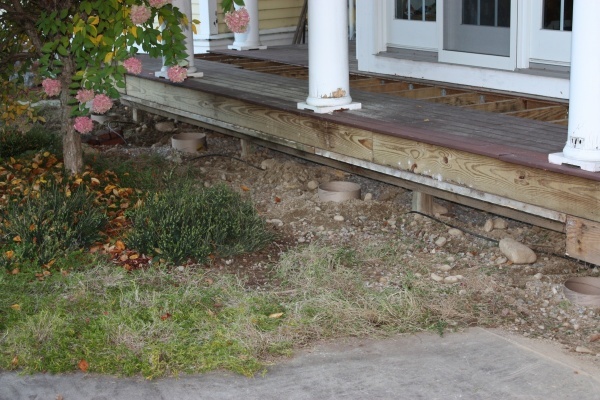 Worse, the builder did not install footings under the two outcroppings of the house so they did not have any support whatsoever! 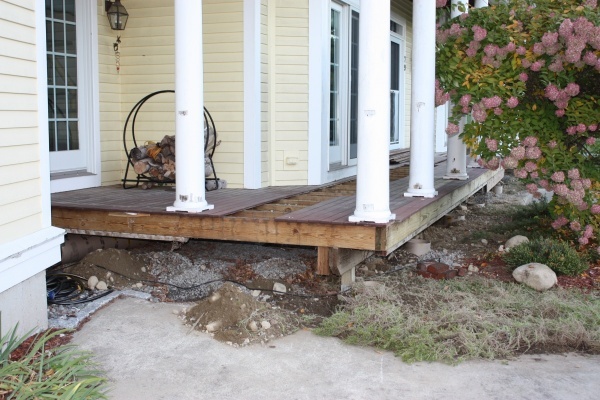 If new footings were not installed in the proper locations the porch would eventually sag and ruin all the work to rebuild it and damage the house. 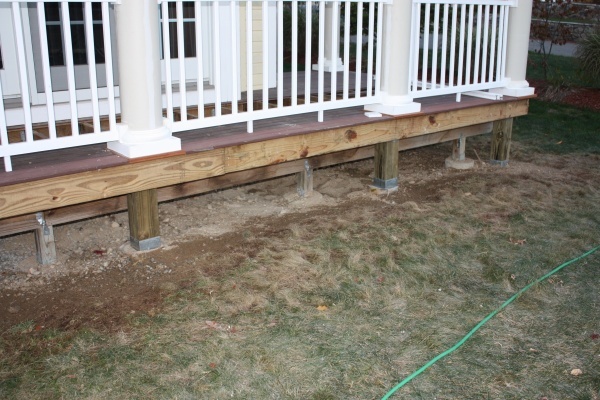 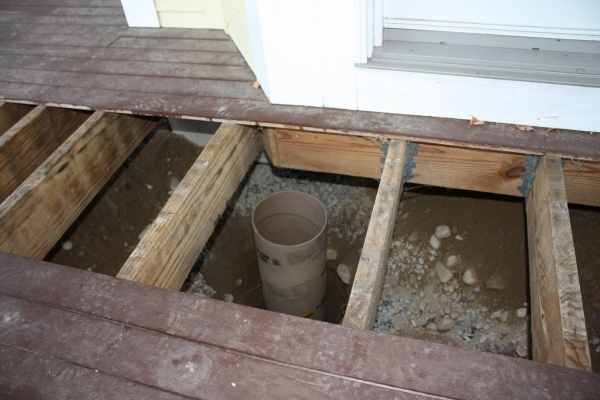 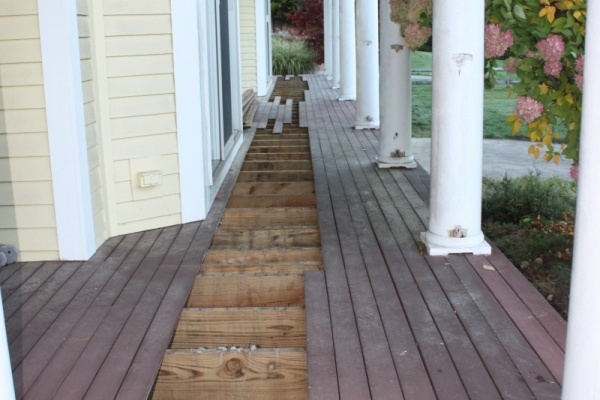 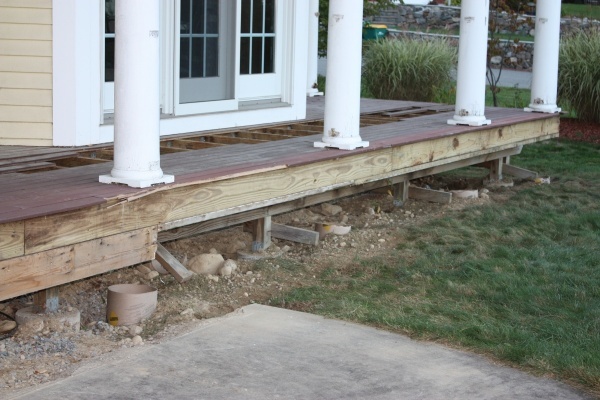 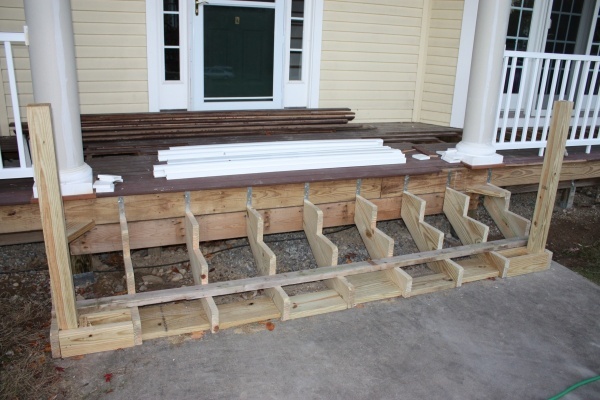 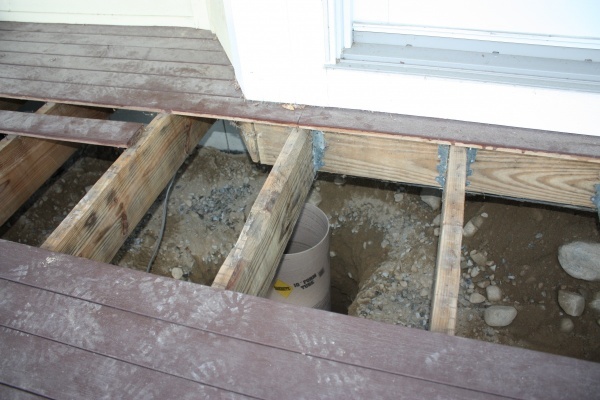 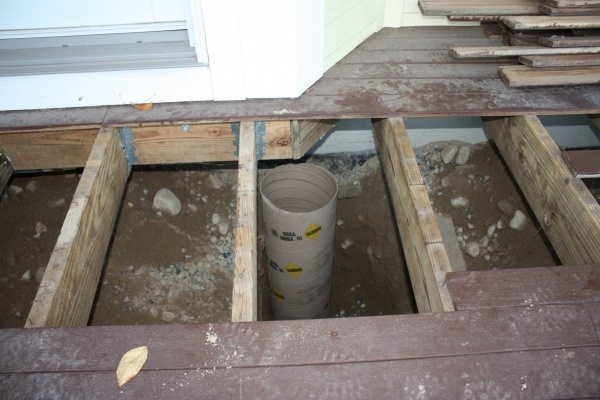 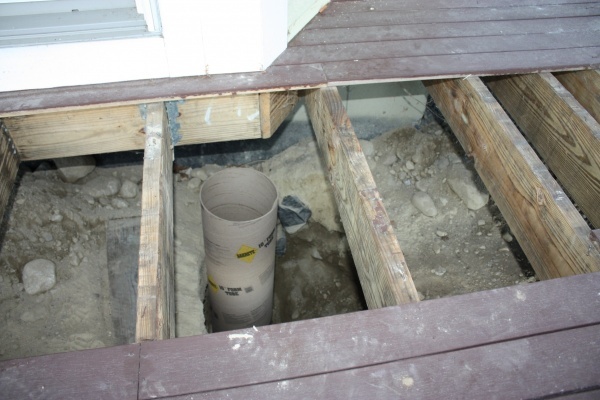 To properly sure up the porch and properly support everything, 14 new footings were installed. 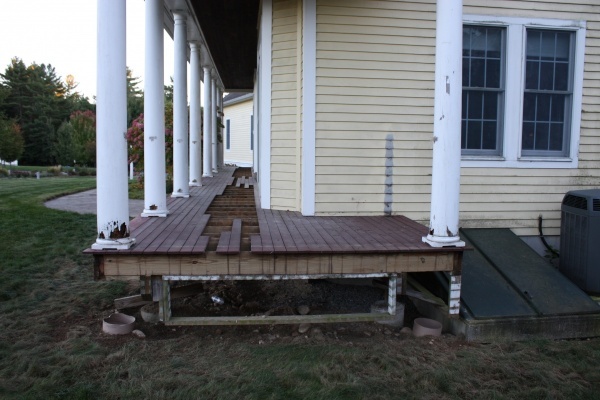 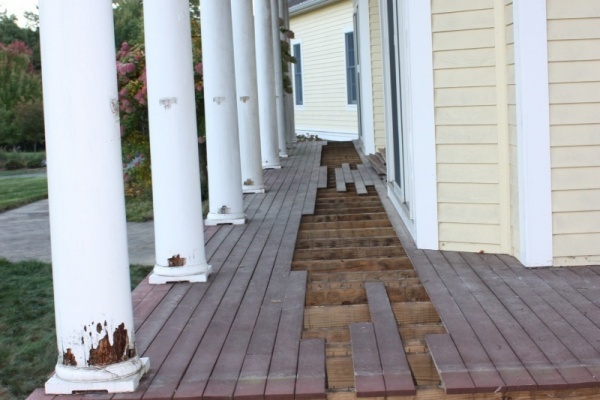 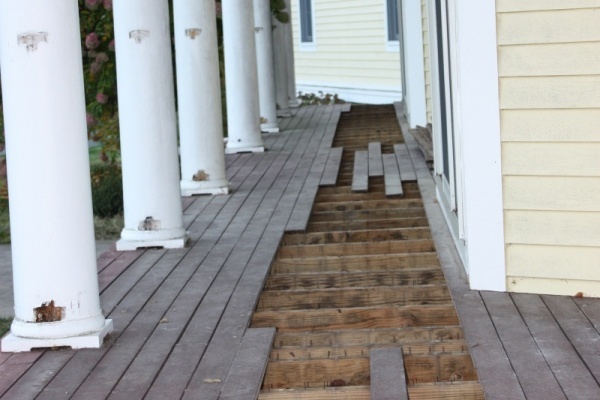 Some of the decking for the porch needed to be removed in order to put four footings in place to support the outcroppings of the house. 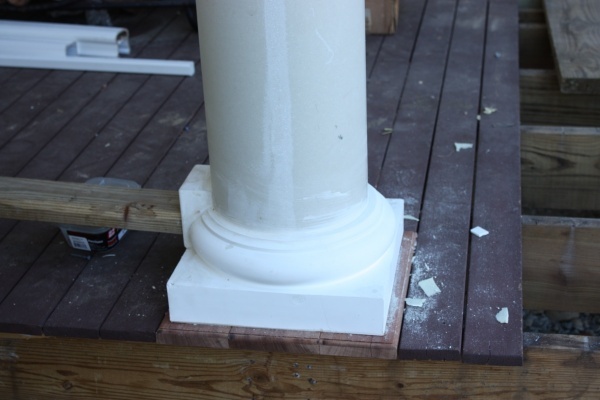 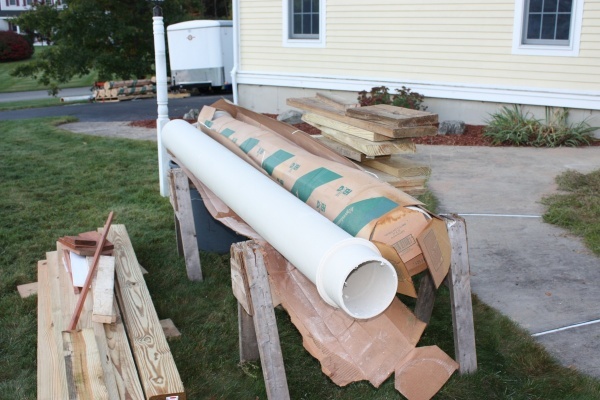 The next phase of the project was replacing the 9 foot 6 inch columns with new fiberglass tapered columns. 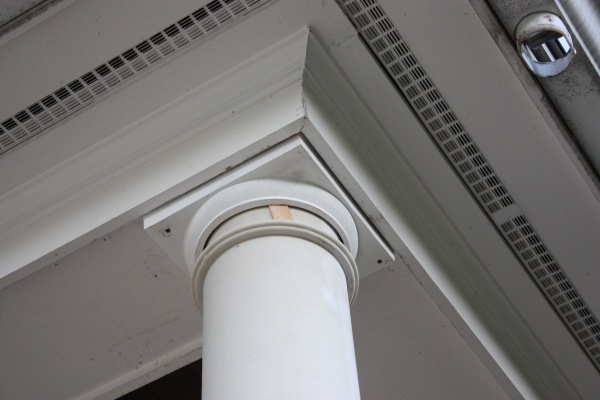 One by one, each rotted column was removed and a new one put in place. 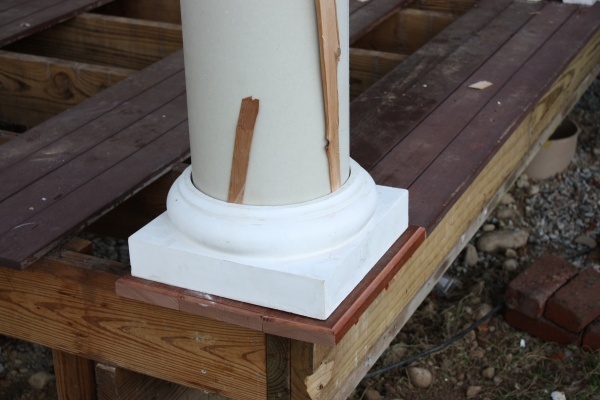 A secure mahogany base was installed under each column, adding proper support but also a nice appearance too. 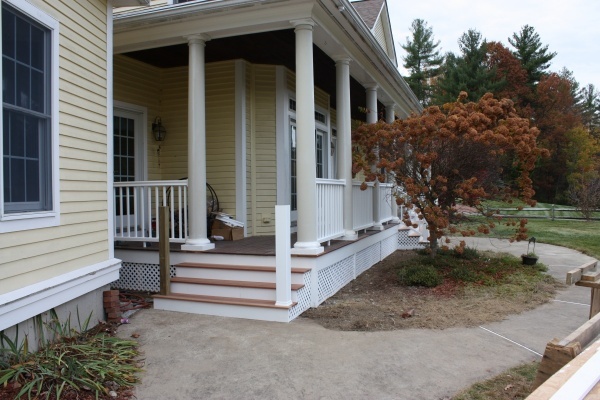 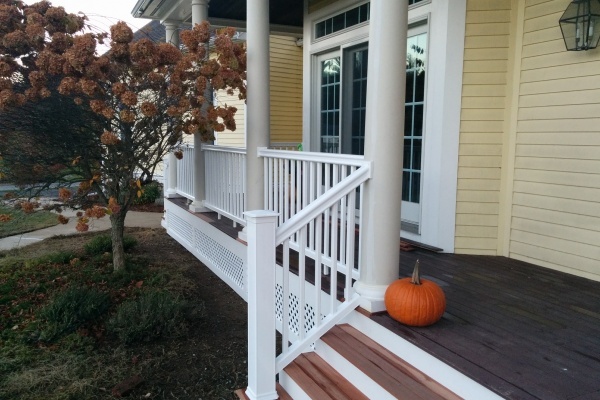 With the fiberglass columns in place, new TiberTech Radiance railings were installed. 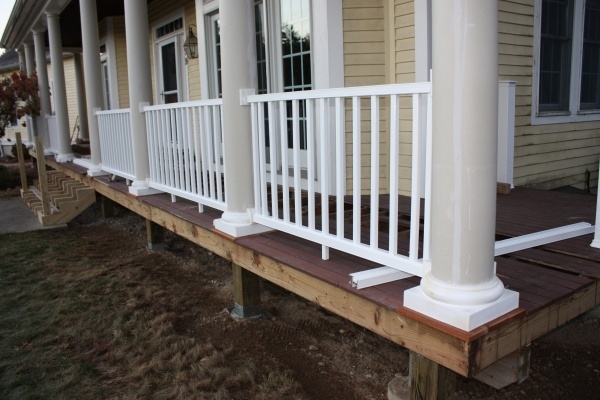 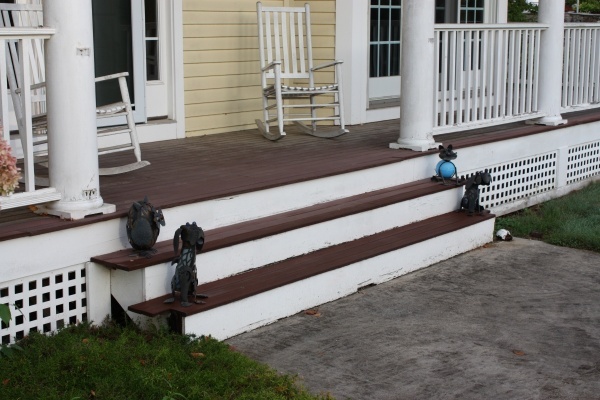 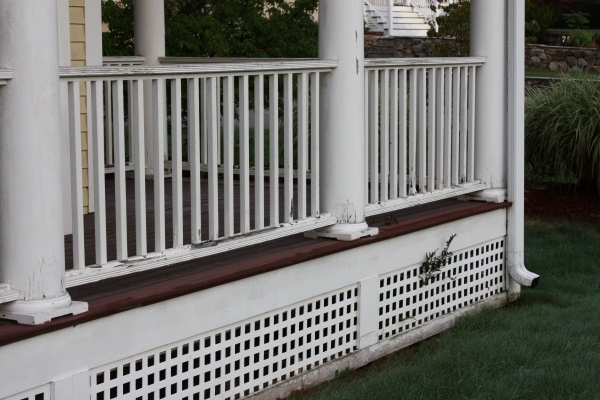 These railings will not rot and will provide many carefree years of enjoyment. 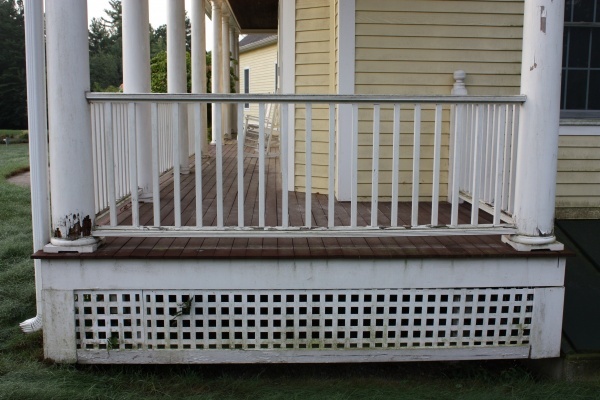 Finally, new lattice work and PVC trim was installed to finish off the base of the porch. 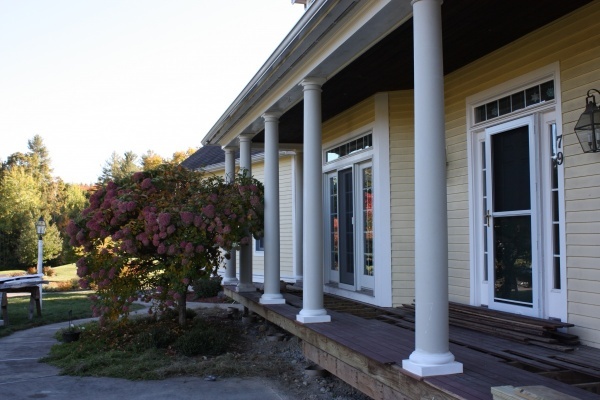 Once the columns are painted to match the trim of the house and the new stairs stained the final rebuilt farmers porch will look fantastic and will provide years of maintenance free enjoyment!